Such a fun design for all of us who love crawfish. For those of us who have annual crawfish boils, this is must design on so many products! 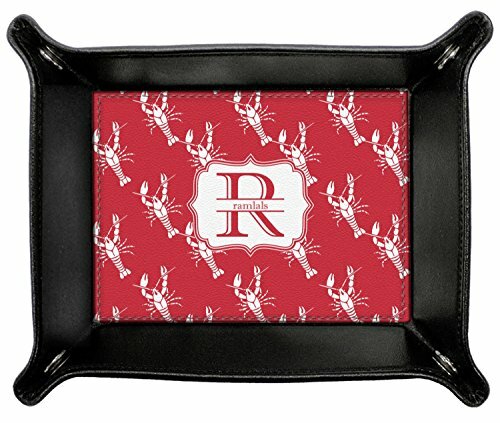 The design is done is a red background with white crawfish, while the personalization is inside a beautiful decorative rectangular frame. The personalization style is an initial along with the name.